So, cases of fuel scarcity have lingered more than expected. 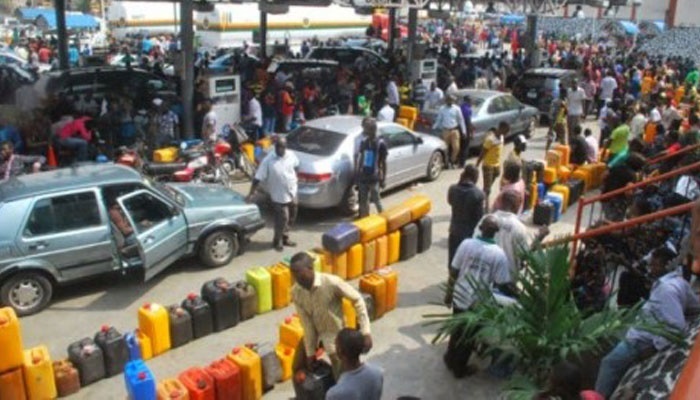 The scarcity has been on since November and whatever NNPC did to end it is not working. Not even several executive orders could do the trick. But now the House of Representatives is taking pragmatic action to end the trend. On Sunday, the lower chamber of the National Assembly asked the Executive to submit an 800 billion naira supplementary budget to the National Assembly to offset the debts allegedly owed fuel marketers. The House Committee on Petroleum Resources (Downstream) said if offsetting the debts would end the scarcity, it is the right step to take. The Chairman of the committee, Joseph Akinlaja, said the House has concluded that the Nigerian National Petroleum Corporation, NNPC cannot handle the importation of petrol alone. Akinlaja noted that with the country’s four refineries producing little or nothing to augment the importation by the NNPC, the scarcity would continue because people would also continue to exploit loopholes in the distribution chain. He said reports at the disposal of the committee suggest that the Independent Petroleum Marketers Association, Depot and Petroleum Products Marketers Association and the Major Oil Marketers Association of Nigeria are collectively owed about 800 billion naira by federal authorities.